CENTRAL PARK, Manhattan (WABC) -- A man was killed when he became pinned under his van in Central Park Monday morning. Police responded just before 7 a.m. and found the man pinned underneath the front, driver side tire of a private construction company van at 74th Street and East Drive. 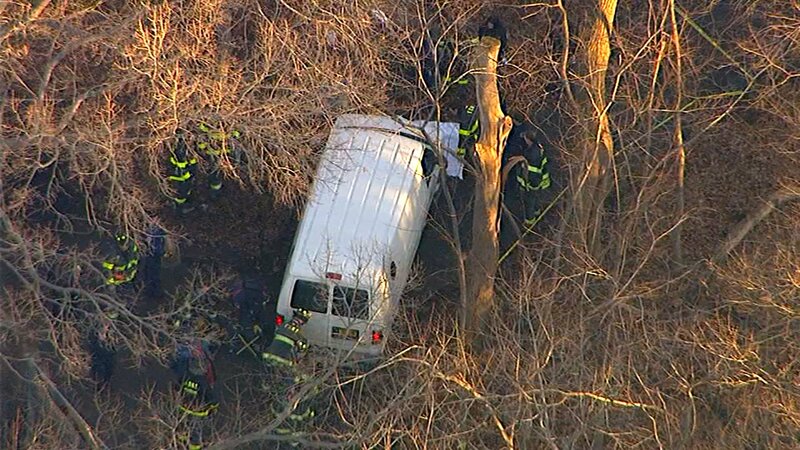 The 56-year-old victim may have gotten out to look under his van when it rolled over him and into the wooded area.